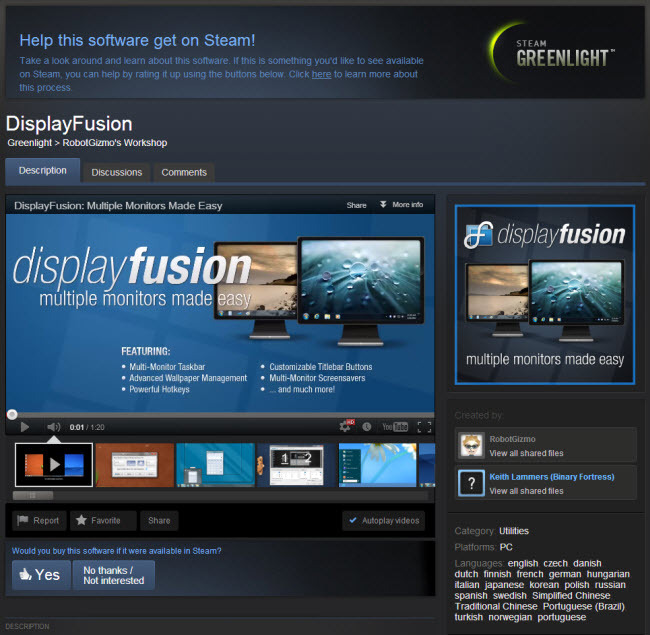 We're very excited to announce that DisplayFusion has been submitted to Steam Greenlight! We'd love to have your support to help DisplayFusion get to the Greenlit stage so that it can become a permanent resident in the Steam Store. Please vote for us on the Steam Greenlight page! A big thank you to everyone in advance for your support!